The upcoming World of Warcraft: Battle for Azeroth patch 8.2 Rise of Azshara build on the PTR will offer initial class changes for Druids, Warriors, Rogues, Demon Hunters, and Hunters. The first patch 8.2 Rise of Azshara build will hit the PTR next week and Blizzard has detailed some class changes that the new patch will introduce. Please note that these changes are not final and can change before the new build rolls out to the PTR. Demonic Wards: damage reduction increased to 15% (was 10%). Demonic Wards: armor bonus increased to 100% (was 80%). Demon Spikes: armor reduced to 60% of Agility (was 85%). Developers’ notes: More than other tanks, Vengeance is currently dealing with the problem of low mitigation when their active mitigation is down. These changes are a substantial increase to physical mitigation when Demon Spikes is down, and a neutral-to-very-slight increase when Demon Spikes is active. There is also some overall passive reduction to magic damage. Overall, Vengeance’s sustained damage taken will be lower, and the periods of vulnerability outside of Demon Spikes should be less dramatic. Soothe, Remove Corruption, Moonfire, and Rebirth are no longer castable in Cat or Bear form by default. Feral Druids now have a visible passive learned at level 22 that allows Remove Corruption and Soothe to be cast in Cat Form. Guardian Druids now have a visible passive learned at level 10 that allows Soothe, Remove Corruption, Moonfire, and Rebirth to be cast in Bear Form. Developers’ notes: Guardian Druid is limited in its practical ability to use some utility abilities while tanking, and we’re loosening that restriction by allowing Remove Corruption in Bear Form. We’re also cleaning up Druid shapeshifting rules slightly: the use of magical-themed spells, in Feral forms, is allowed by passive upgrades given to Guardian and Feral specializations specifically. This represents their special mastery of their “home” form that allows for limited spellcasting, and from a gameplay perspective, this allows Feral/Guardian Druids to use spells in form where there is a strong practical need. At the same time, there are situations where there is no fantasy justification or gameplay need, and spellcasting might be more restricted. For example, non-Guardian Druids can no longer cast Moonfire in Bear Form. Ironfur and Maul now cost 40 Rage (was 45). Mangle now generates 10 Rage (was 8). Developers’ notes: Ironfur is intended to be maintainable with high uptime, up to 100%, and have some overlaps on top of that. Currently, depending on talent configuration, Druids may only be able to barely maintain full uptime on Ironfur. Making Ironfurs much more available should allow better control over timing and overlaps, as well as improving Guardian mitigation overall. Shifting to Bear Form now gives 25 Rage (was 20). Developer’s notes: It should now be much easier to get the first Ironfur activated promptly after engaging an enemy, due to the increased starting Rage and lower cost. Mangle and Thrash direct damage increased by 15%. Barbed Shot damage is now affected by Bestial Wrath. Barbed Shot damage reduced by 10%. Developers’ notes: We are fixing a bug that caused Bestial Wrath to not affect Barbed Shot damage, and lowering the base damage of Barbed Shot to keep overall damage roughly unchanged. Keep Your Wits About You (Azerite Trait) now stacks once per instance of Blade Flurry dealing damage (was once for every target Blade Flurry hits). Each stack now provides 5% Sinister Strike chance (was 2%). Developers’ notes: In very large packs of enemies, especially in dungeons, Keep Your Wits About You provides much more damage than one copy of one Azerite Trait was intended to provide. With this change, you’ll still feel this trait accelerate as you build stacks, but the size of the group that you’re fighting won’t affect how much damage the trait is giving you. This will be a damage increase against two targets, and a damage reduction against 3 or more targets. Unstoppable Force Thunderclap damage reduced to 50% (was 100%). Developers’ notes: Protection Warrior burst DPS with Avatar is extremely high for a tank. This talent was adding more damage than necessary, given that it also decreases Thunder Clap’s cooldown and synergizes well with certain Azerite traits. Battle for Azeroth, the seventh World of Warcraft expansion, is available globally now. The most recent content update for the expansion, patch 8.1.5 Crucible of Storms, was released last month. 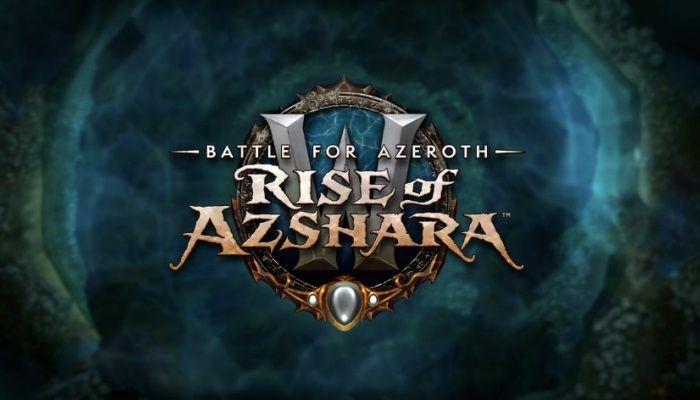 Patch 8.2 Rise of Azshara will release on the PTR next week, and based on previous content updates, is expected to release on the live servers around June. Sling TV vs. Hulu: Which Live TV Streaming Service Is Best for You?